Gearing up for the end of the winter holidays, everyone makes numerous resolutions, including me. One of mine is to write more copy on this blog. I will start with today’s holiday – la Befana. It is a holiday in Italy where an unattractive old looking woman gives out coal to children who are bad and candy to those who were good, the Feast of the Epiphany. 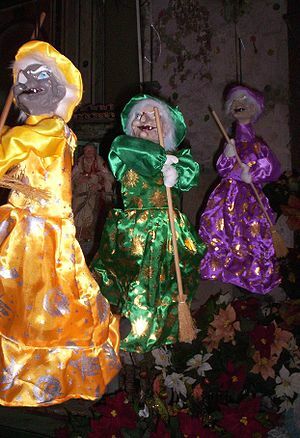 Mostly though, the Befana signifies the end of the Winter holidays and after two weeks of vacation, everyone has to go back to work, even in Italy. Many including me, have considerable trouble getting back to work after the holiday season. In Spain today is Three Kings Day and celebrations abound as friends like the World Wine Guys and April Cullom of Casa Abril can attest. 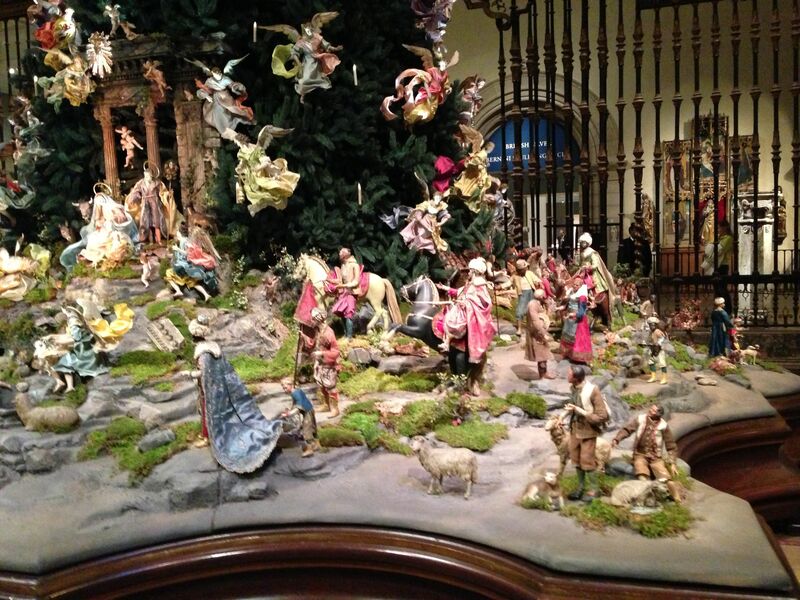 Traditionally, Italians gave their Christmas presents on this day, timed to the arrival of the Magi. When I was living there though all anyone got on la Befana was candy or coal. I found this blog entitled Willy or Won’t He? about la Befana and thought it interesting to see how she was viewed by this particular family. No specific foods or wines are used on this day. However, last year I discovered a winery called Raffaldini in North Carolina that makes a “Befana” sweet wine. Needless to say wonders never cease. Apparently this ancient family from Mantua in Lombardy has created what they call “Chianti In The Carolinas,” making a number of wines with Italian grapes. Their Befana wine is a sweet wine made using partially dried grapes, somewhat more like a Ripasso I imagine. Speaking of Ripasso, I had a great one over the holidays from Fattori – Col di Bastia 2009. I remember when Antonio Fattori began making this wine. It has aged beautifully this last 5 years and was perfect with Roast Beef. Onward to a great 2017 for all.